Over the years, Hollywood horror movies have been pigeonholed into a genre of quantity over quality. The genre usually does well at the box-office, whether the movies are good or not because those type of movies can garner a fun Friday night for young people just looking to socialize. And this decade’s batch of campy, schlocky horror flicks is no exception. But where there can be unintentional comedy or amusement with bad horror, there can also be boredom, which is the case with the newly released Winchester. 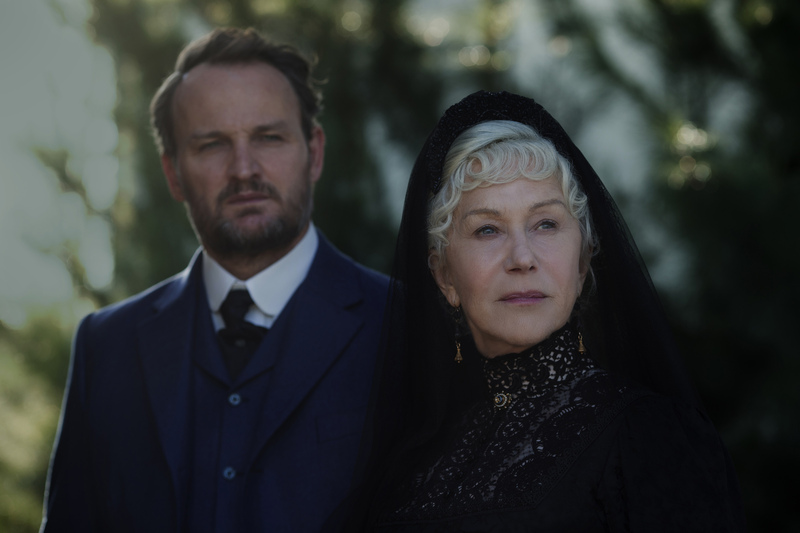 In 1906 in San Jose, Dr. Eric Price (Jason Clarke) is hired by the Winchester firearms company to diagnose the mental state of the deceased company-owner’s widow, Sarah Winchester (Helen Mirren). Sarah is obsessed with spending her husband’s inheritance on remodeling and rebuilding her family’s estate—out of paranoia that she is being haunted by the ghosts of men who have died from being shot by one of the company’s guns. Meanwhile, Eric is also dealing with the death of his own wife, and he casually uses drugs. Winchester is directed by brothers Michael and Peter Spierig, whom also penned the hit B-movie Predestination (2014), and the Saw series reboot, Jigsaw (2017). Winchester is neither entertainingly corny nor a well-executed, basic ghost story. It’s pedestrian, cliché, with five ineffective jump scares and a rather ridiculous plot resolution. But most of all, it’s just boring and forgettable, which is the worst thing a film can be. If anything, the movie just proves that Clarke, one of the better character-actors on screen, deserves more interesting studio features. Next Post Dolphin Report: Who’s Going to the Playoffs?